2 Bdrm Top flr Flat. Hall. Lounge/Kitch on open plan. 2 Bdrms. Bathrm (CT band - A). Garden. 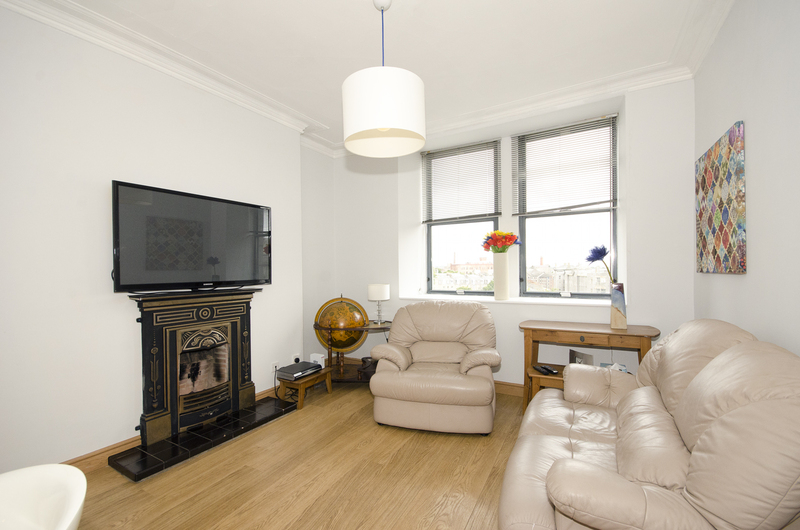 Fixed price £147,000 Entry by arr. Viewing James Hunter 07545 214337 or contact solicitors. (EPC band - D). 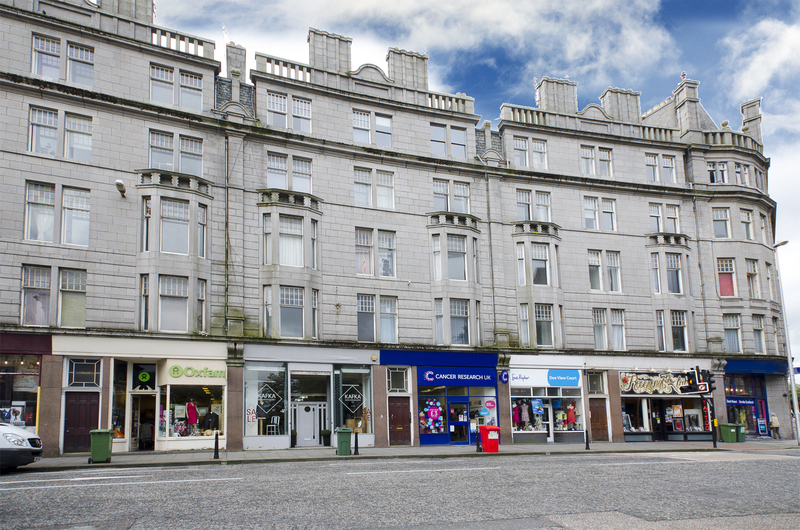 The Law Practice is delighted to offer for sale this bright, fresh top floor two bedroom flat in a traditional granite building. The property, which has a hall, lounge and breakfasting kitchen on semi-open plan, two double bedrooms, a bathroom and a loft, is full of character, boasting traditional features, such as a fireplace. 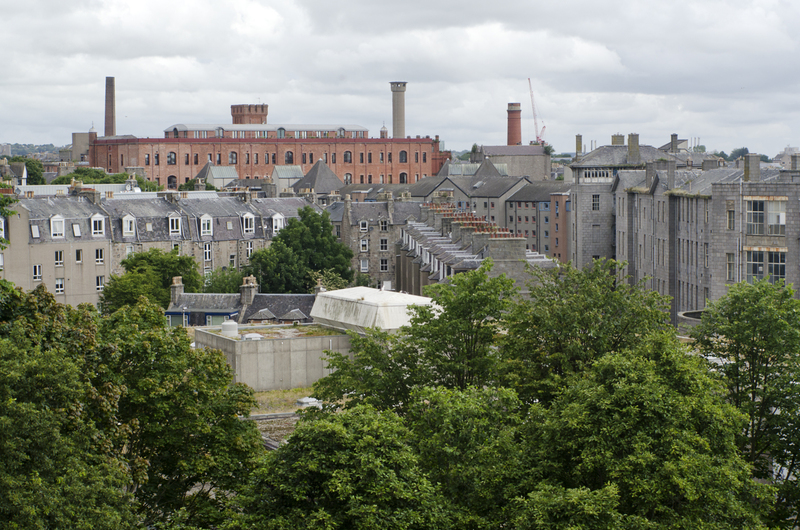 Although the flat is in the city centre, it benefits from a peaceful air being significantly higher than street level and boasting striking cityscape views. The property comes with gas central heating and double glazing. Freestanding white goods will be included in the sale and most other furniture can be available by separate negotiation. 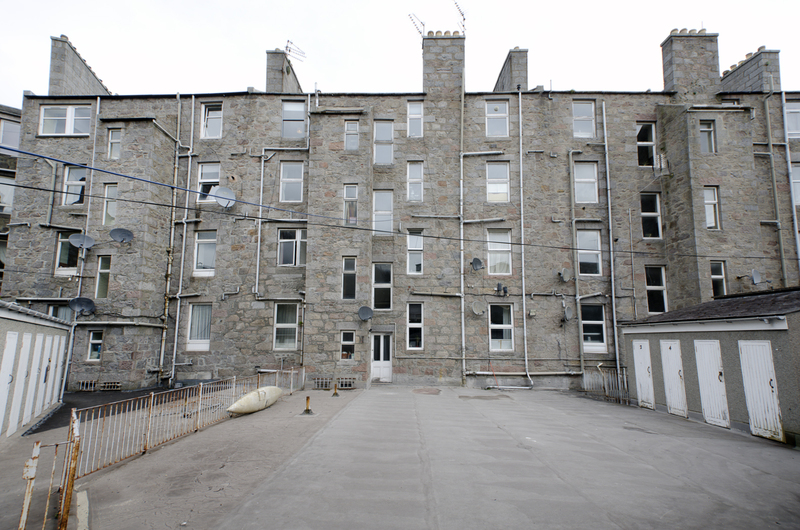 The building is factored and the flat is said to have access to a resident’s parking permit from Aberdeen City Council. Rosemount Viaduct is located only minutes walk from Union Street with a huge range of amenities nearby including excellent shopping facilities with the major shopping centres within walking distance as well as an excellent selection of convenience stores, restaurants, bars and coffee shops. 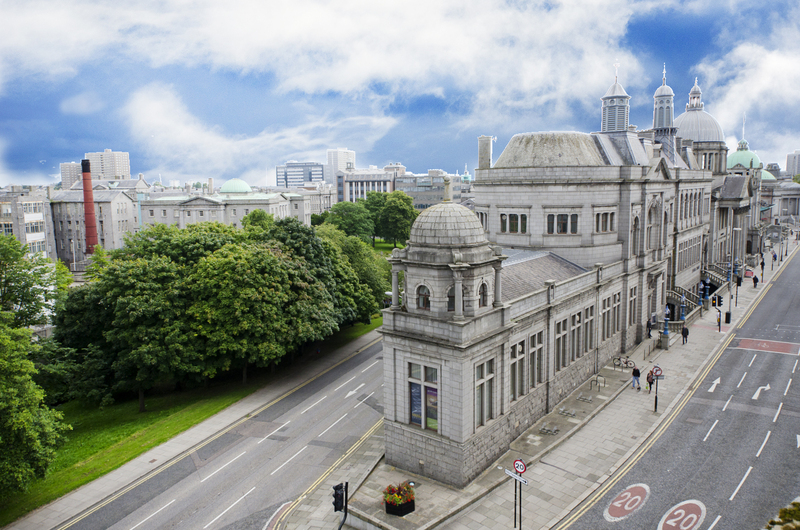 The Central Library is just across the road whilst His Majesty’s Theatre and Union Terrace Gardens are a stone’s throw away. 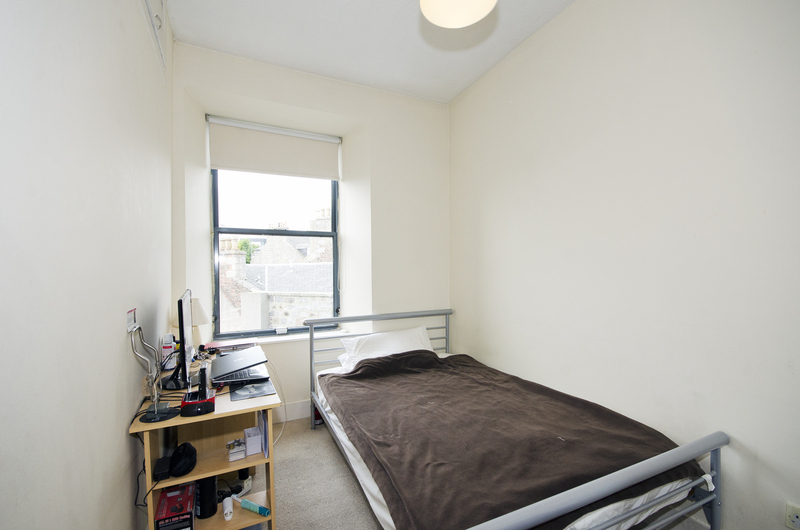 There are regular buses nearby and the bus and railway stations are within easy walking distance. Common entrance: The building is entered via a solid door from the street and the well kept communal hallways are protected by a security entry system. Windows to rear allowing plenty natural light. Hallway (extending to approx. 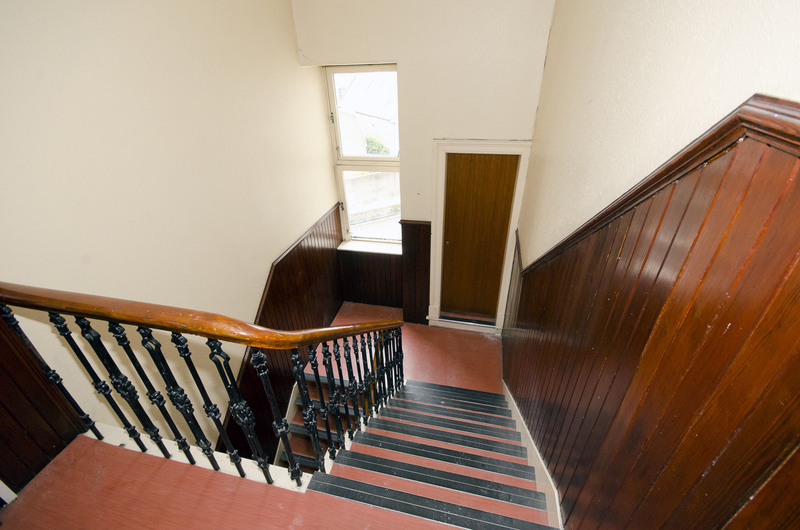 9’ 10” at longest point): The L-shaped hallway is entered via a secure wooden door and has a security entry handset. 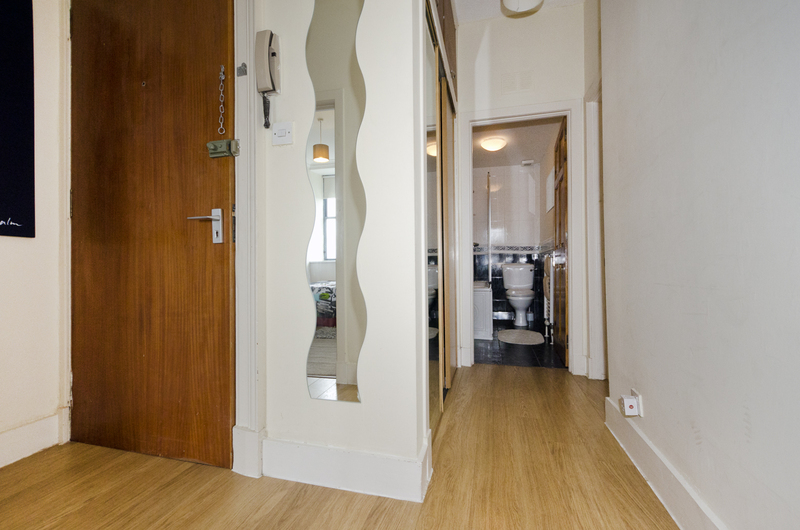 Light walls and laminate flooring. 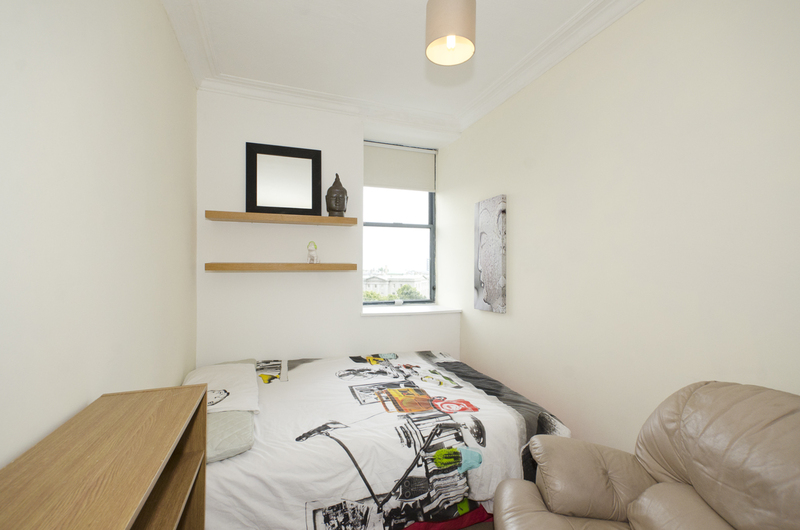 Excellent storage is provided in very generous built-in full height hall cupboards, one housing the electricity meter. Access to the large loft, which is not currently floored and is believed to house the boiler. Wall mounted mirror. 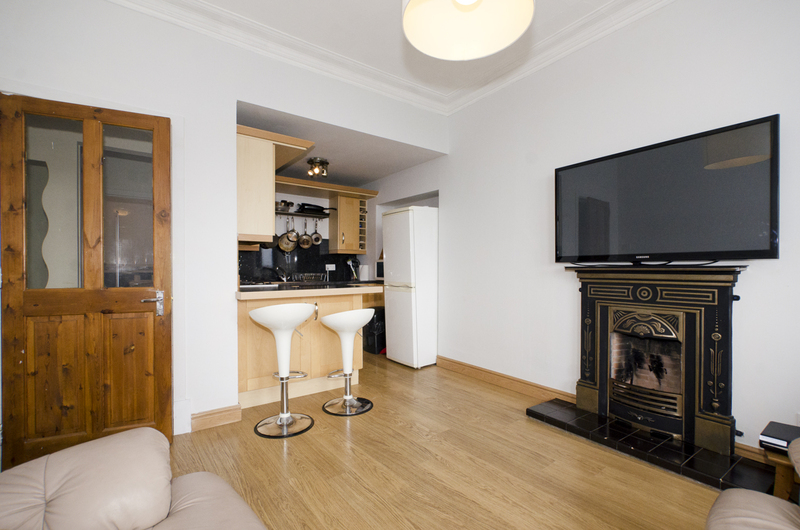 Lounge on open plan with kitchen: This wonderfully bright, fresh space is entered via a glazed door from the hallway. Again, light walls and laminate flooring. Lounge (11’4 x 8’ 10 approx. ): Two large windows, with deep sills and dressed with blinds, look to the front of the property, offering super views of the city. The fireplace is an attractive focal point and there is ample space for furniture. Large feature ceiling shade. Kitchen (5’ 9” x 4’ 4” approx. ): A smart kitchen boasting good cupboard space at floor and eye level with light wood units and worktops and aqua panel in a deep shade. Work top extends to provide space for a breakfast bar. 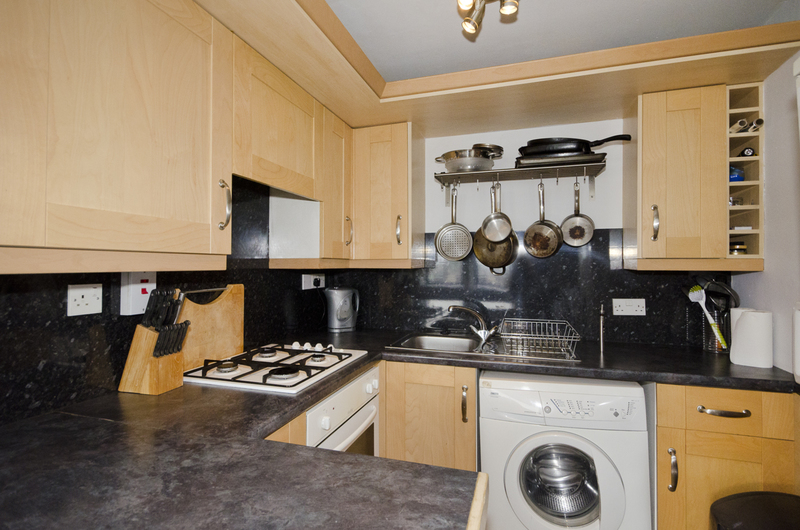 Inset stainless steel sink and drainer and integrated oven and gas hob with cooker hood. Freestanding washing machine and fridge/freezer to remain. Built-in wine rack and over sink shelf. 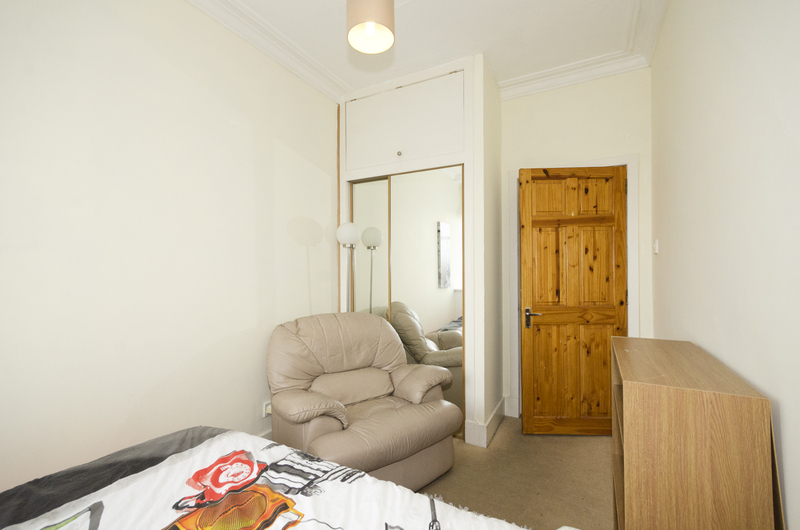 Bedroom 1 (11’11 x 7’8): This double bedroom is neutrally decorated and carpeted, benefiting from a built-in mirrored wardrobe with further cupboard storage above. Good sized window to the front of the property, benefiting from the same super views as the lounge. Two fitted shelves and space for further freestanding storage or furniture. Bedroom 2 (11’ 2” x 7’ 0”): Another double bedroom with neutral décor, carpet and good storage in the mirrored wardrobe and further overhead cupboard. Large window with a peaceful outlook to the rear. Bathroom (7’ 10” x 4’ 6”): Fitted with a three-piece suite in white and smartly tiled in nautical shades. 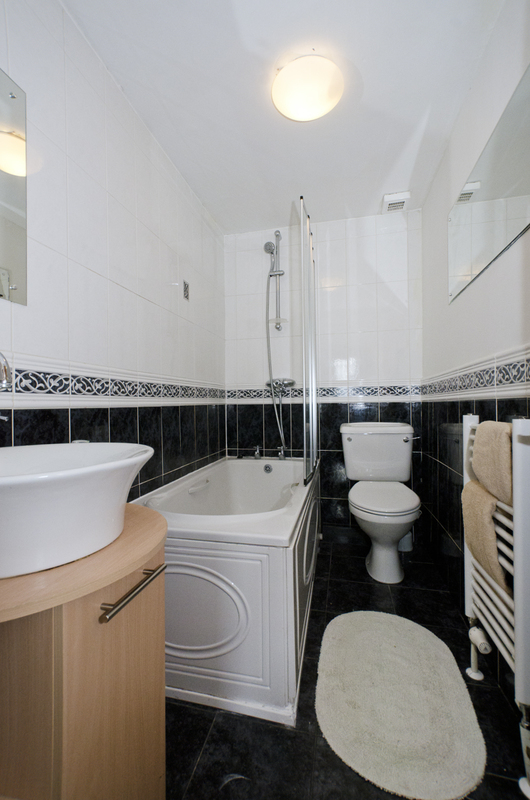 Shower over bath with screen and circular wash hand basin with low level cupboard and shelves. Vinyl flooring. Heated towel rail. Extractor far. Two wall mounted mirrors. 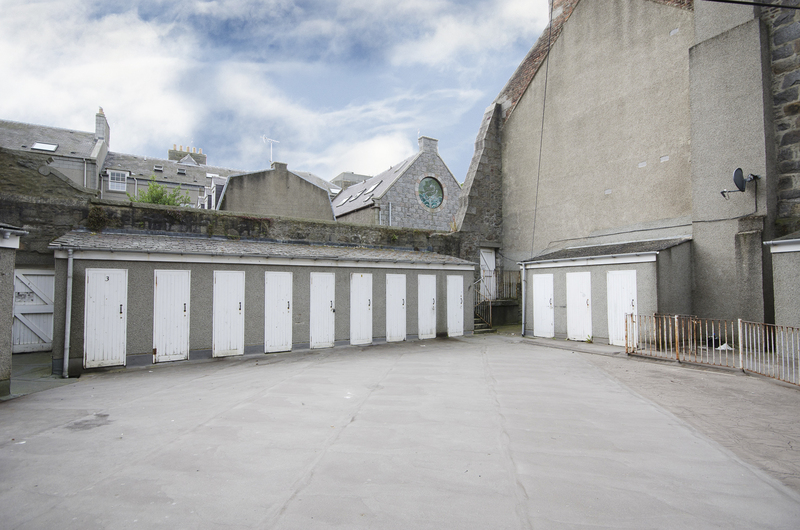 Outside: There is a communal paved courtyard area to the back of the property accessed through a rear door. The property has one individual shed.